Made to last and withstand outdoor use. 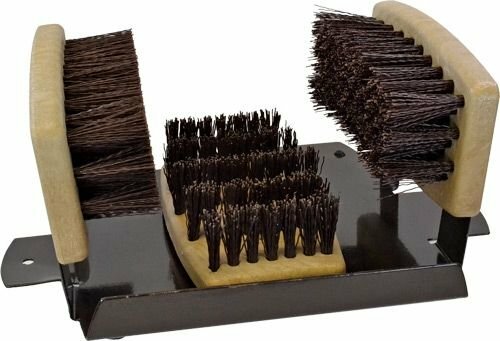 There are three extra-stiff bristled brushes mounted on the durable stand. The heavy-duty carbon steel base includes mounting screws and rubber pad for floor protection. If you have any questions about this product by Personal Security Products, contact us by completing and submitting the form below. If you are looking for a specif part number, please include it with your message.